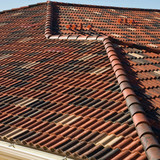 Roofing in El Dorado Hills RWE was started in 1985 as a family owned and operated roofing business. We have been serving the California community ever since. We have been in El Dorado County now for the past 20 years serving not only the Sacramento region but also the Bay Area. We have installed and repaired hundreds of roofs from Hillsborough to Ukiah and from San Francisco to Lake Tahoe. Although we have worked mostly within the residential sector- we have also provided services for commercial buildings, churches, the HOA Property Management community and are working more closely with the California Association of Community Managers, Inc (CACM). We look forward to providing our services for all your roofing and waterproofing needs. For more than 10 years, America’s Advantage Remodeling has been helping Sacramento-area residents turn houses into homes. Every member of our team fully appreciates the sensitive nature of being welcomed into another’s home, which is why we take such great care to ensure that projects exceed the expectations of our clients. Specializing in every aspect of home remodels – from residential additions and replacement windows to full kitchen renovations and bathroom remodels – we pride ourselves on our attention to detail and the thrilled reactions we receive when the finished product is finally unveiled. We are a family business, and are proud to call Sacramento-area homeowners our neighbors! Free In-Home Estimates, call our Toll Free 1-888-858-5024 to schedule a time most-convenient for you. Kroeck and Son's is a family slate roofing business that was started in 1885 in Giessen, Germany by Philipp Kroeck and his son Karl Kroeck. Philipp was a "Dachdeckermeister" or "master roofer". Yancey Home Improvements is a family run Roofing and Siding Contractor serving the greater Sacramento Area. One of Sacramento's GAF Master Elite Roofer, an exclusive group of highly trained, qualified and certified roofing contractors. ACS Roofing has some of the highest qualifications in the Roofing Industry, such as being a HAAG and Tile Roofing Institute (TRI) certified inspector, as well as countless other qualifications. Our Owner, Mark Tate is very knowledgeable about all things Roofing, Construction, and Home Improvement related. 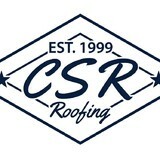 We are also a Sacramento Sustainable Business and put "Green" Roofing practices into place. We also specialize in Rain Water Harvesting, a great tool to save water and beat the drought in California! Additionally, we also install Whole House Fans and provide Ventilation Assessments, helping Home Owners to save money on their Air Conditioning. ACS Roofing Co. Inc. has a strong reputation for quality customer service as well impeccable records with Angie's List, Yelp, the BBB, and the CSLB. We put quality work and customer service as our #1 priority. Flat Roof Specialists, Inc. started in 1980 as Art Melick Construction and Roofing. Since then we have grown and evolved with the construction market. Art began doing roofs and small jobs of all types and later began building custom homes. However, for the last twenty years, Art focused his company on roofing. Because of the new technology in membranes he began specializing in membrane roofing on residential and commercial projects. In doing this Art added a name to our company to reflect our new focus, and we became Flat Roof Specialists, Inc. We are still also very active installing composition shingles on sloped roofs. Our promise to our customer is to provide the best solution to them and inform them of all the associated pros and cons. We are a family owned and operated company and take pride in what we do. Our motto is "A good roof is one you can forget"
Custom Copper and Sheet Metal Roofing, Inc. Custom Copper & Sheet Metal Roofing, Inc. is a licensed roofing contractor that specializes in crafting beautiful, long-lasting metal roofing, siding and more. We are a local family owned roofing company who take great satisfaction having built thousands of quality roofing systems designed for each customers’, rather than just replacing a roof. Steve Housh focuses on quality and prides himself in maintaining trustworthy relationships with his clients. Steve and Michelle, co-owners have been married since 2001, have 3 children: Noah, Alexis & Faith. He leads his family with integrity and this attribute also carries over into his business ethics. For over 30 years before retiring Steve’s father, Bill Housh owned Housh Roofing & Construction serving the Sacramento community. Steve continues to carry on this family tradition with Noah’s Roofing, which is named after his son Noah. Steve has been a licensed contractor for over 10 years with more than 20 years of actual roofing experience. Welcome to Gold Country Roofing! Our quality residential, commercial and industrial services include re-roofing and tear-offs, shingle and seamless gutter installation, leaf guard systems and installation of tough, single-ply thermoplastic membrane. Our full range of roofing-related products and services include an extended workmanship warranty, a manufacturer’s warranty (where applicable) and installation any time of the year. We will work at providing a roof system that is cost effective yet does not compromise the integrity of the roof, and we use only quality products such as Duro-Last, Owens Corning and Leaf Solution. At Gold Country Roofing we've been serving Nevada County since 1980. With this much experience, it's no wonder that we're reputed to be the gold standard of roofing in our area! We manufacture and sell Copper Gutters, Copper Downspouts, Perforated Copper sheets, copper countertops, stainless steel countertops and backsplashes, roof flashings, ductwork - almost anything made out of copper, stainless steel, galvanized, aluminum, zinc (you get the idea)... Concord Sheet Metal believes in doing things right. For the last 25 years, we have made it our goal to provide our customers with quality products, every time. Our motto says it all - "Fabrication Excellence!" For contractors, wholesalers and homeowners, one-offs to production runs, we do it all. We make all the standard flashings (in up to 20' lengths), but where we really stand out is in doing what the other guys won't. We love a challenge - if everyone else has said "No", let us give it a shot. We have been selling copper gutters for years; if you haven't seen it yet, be sure to check out our Eclipse Millennium gutter - we guarantee you've never seen a more beautiful gutter. We also sell half round, Ogee, and any other style you could want. Need something custom? We do that too - custom gutter styles, custom roof flashings and dormer vents - you name it, we can build it! We have half round copper gutter and accessories in stock! Cal-Vintage is a family owned/locally operated roofing company with over 30 years of experience. We provide services to homeowners, contractors, real estate agents, brokers, property managers and homeowner associations. The Cal-Vintage Roofing contractor team is dedicated to offering quality, innovative roofing with traditional customer service. Our showroom has the most roofing samples , products and accessories you will find in Northern California. And our estimates are always free. Get started today! Call, click or visit us online. What do roofing companies in El Dorado Hills, CA do? Your El Dorado Hills, CA roofing contractor can install a new roof or repair an old one, as well as repair and replace gutters. Good roofers in El Dorado Hills, CA should be able to promptly inspect roofs and gutters to assess damage after a natural disaster or other event, and give you an estimate for the necessary roof repair immediately. Some El Dorado Hills roofing companies specialize in specific types of roofs, such as tile or metal, so make sure the one you are interested in works with the materials you have or desire. 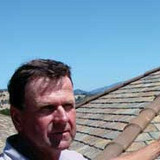 Find an El Dorado Hills roofer on Houzz. Narrow your search in the Professionals section of the website to roofing companies in El Dorado Hills, CA. If you’re planning a large-scale project, find other professionals on Houzz who can help get the job done. Here are some related professionals and vendors to complement the work of roofing & gutters: General Contractors, Specialty Contractors, Siding & Exteriors, Door Sales & Installation, Garage Door Sales & Installation.